Our story is simple at ACCT, “ Association Community Carbon Trees” … we have created a way for people from around the world to come together and use their “dime, their time and their voice” to plant rainforest trees in collaborative effort to solve some of the most challenging environmental and social challenges of our time. There is no better feeling than knowing deep down that you are collaborating with so many others to make a real difference for future generations. Enjoy our interactive website which explains how growing trees near the Equator serves as the greatest and most simple way to improve our global climate. Trees help so many of the environmental challenges we face today. Trees are miraculous, generous beings proven to lower temperatures, stop erosion, lessen ocean acidification, produce biomass for rebuilding healthy soils, provide food for humans and animals, forest products like lumber and medicine, balance the hydrological or rain cycle, and capture excess carbon dioxide in the atmosphere from fossil fuel consumption. Planting a wide diversity of trees in specialized biological and commercial zones actually protects the remaining rainforest and all of its wonders for future generations! Why? We plant the trees on land owned by Costa Ricans with fairly paid community labor by both men and women. This gives local people an alternative income stream other than cattle farming or illegally cutting lumber. Local women are also paid for preparing fertile soil for use in our community tree nurseries. All trees are produced from locally collected seeds. This has renewed awareness for the value of mature trees for seed stock in existing rainforests. The local people are also rewarded for maintaining trees long term because valuable sustainable products are produced. WHAT IF YOU COULD BREATHE, EAT AND DRINK YOUR FREQUENT FLYER MILES GUILT FREE? When Justin Brothers, one of the Producers of the Envision Festival in Costa Rica, asked me to write an article about what ACCT does, I wondered what I could say that would resonate with this jet setting, fun loving, and mantra murmuring crowd. Non profit Association Community Carbon Trees- Costa Rica has been working with the ENVISION FESTIVAL since it’s inception 5 years ago in an effort to provide a way for people attending the event to offset their carbon dioxide emitted from the airplanes, trains, and automobiles used to travel to the Southern Zone of Costa Rica. Envision’s example of giving back to the local and global community has set the stage for other festivals to be more environmentally aware not just about their footprint for the festival itself, but also for the planet as a whole due to the countless environmental services and sustainable products rainforest trees so generously give us. Trees do so much for us from sucking up excess carbon dioxide to recycling thousands of gallons of rainwater each year, to providing food, medicine and products. With so many amazing qualities, it is hard to focus on just one reason why we love rainforest trees. Tree Jenny at Envision 2015! Perhaps one of the most frequently asked questions from people at the festival is HOW do the trees do their magic? Most people know a little about photosynthesis, that amazing atmospheric chemical exchange occurring in green plants which forms the basis of our symbiotic relationship with them. Humans exhale CO2 constantly, as do land based animals, and many fossil fuel consuming machines and factories. Trees breathe in CO2 and store the carbon molecule while literally recycling our pollution into the oxygen we breathe and the water we drink. This mutually reciprocal relationship is nothing short of amazing as it provides for our most fundamental needs. Carbon is not the enemy. In fact, Paul Hawken, esteemed environmentalist, reminds us that carbon is an extraordinary element we need to hold hands with and collaborate. We need to fall in love with carbon. I say we need to fall in love with rainforest trees too. Because they truly do hold hands with carbon and turn it into food for growth. Nevertheless, tree services often go unnoticed and taken for granted. That old cliche “Save the Rainforest” never really worked and now we have so much carbon in the air that it has become a menace to society and no one really has invented a better way than a tropical tree near the Equator to absorb it and give us so much back in return. Let’s go deeper. How do we calculate how much carbon dioxide is captured by any tree? It depends on the growth characteristics of the tree species, the conditions for growth where the tree is planted, and the density of the tree’s wood. In other words, how big and hard does the tree grow over time? Where is the tree located and how old is it? Carbon offset is greatest within 10 degrees of the Equator and in the younger stages of tree growth, between 20 to 50 years. This is why it is so important for every tree we plant to “keep on living and giving” which makes our long term, paid community farmer rainforest management and conservation program critical to real success. 2.5 year old tree! Look how big! Then we determine the dry weight of the tree. This is based on extensive publications with tables for average weights for one cord of wood for different temperate and tropical tree species. Taking all species in the table into account, the average tree is 72.5% dry matter and 27.5% moisture.Therefore, to determine the dry weight of the tree, multiply the weight of the tree by 72.5%. Next, we determine the weight of carbon in the tree. The average carbon content is generally 50% of the tree’s total volume. Therefore, to determine the weight of carbon in the tree, multiply the dry weight of the tree by 50%. Determine the weight of carbon dioxide sequestered in the tree. CO2 is composed of one molecule of Carbon and 2 molecules of Oxygen. The atomic weight of Carbon is 12.001115. The atomic weight of Oxygen is 15.9994. The weight of CO2 is C+2*O=43.999915. The ratio of CO2 to C is 43.999915/12.001115=3.6663. Finally, determine the weight of CO2 sequestered in the tree per year. To do this, we divide the weight of carbon dioxide sequestered in the tree by the age of the tree. W = 0.25D2H = 0.25(82)(15) = 240 lbs. green weight above ground. If nothing else, it becomes very clear that it is not enough to just plant the tree. Every single tree must be lovingly tended, especially the first four years if it is to grow up over the cattle grasses and form a biodiverse forest canopy to give us maximum environmental benefits. Each one of these diverse trees contributes over 200 pounds of biomass each year to rebuild soils on deforested cattle farms participating in our programs. Based on the number of trees Envision has sponsored to date, just picture more than 74,600 pounds of fresh new topsoil added from falling branches, leaves and animal droppings where it used to be just hot mess of cattle grass and erosion! But wait. There’s more! Each tree transpires or recycles over 200 gallons of rainwater each year. By the time the trees reach 20 years old, they have formed a canopy which transpires over 20,000 gallons of water per acre per year. That is a big deal with the ongoing drought and flood conditions plaguing our planet due to deforestation and unusually higher temperatures year after year. Local Costa Ricans participating with us, both workers and host farm family members, all paid labor, chop cattle grasses and choking vegetation away from the base of each and every tree and its perimeter 3 to 4 times per year the first two years, 2 times during the 3rd year and 2 times the 4th year. This means the majority of the money from each ACCT sponsorship is going out to the community to make sure each and every tree grows to maturity which is at least 25 years for the carbon sequestration numbers to be real. ACCT work crews of men and women and volunteers! ACCT distinguishes itself from most other tree planting groups by allocating money and management to the follow up care of every single tree. We even replace any trees that die the first 4 years. What’s more, we plant a huge diversity of trees. And we do not buy the land either, but rather empower local farmers to work on their own land which means less deforestation. Through local job creation, ACCT cultivates greater chances of long term rainforest regeneration and conservation. Social justice has a huge role to play in keeping rainforest standing for future generations. My, how we have all grown! As of planting season 2015, just 5 years after our birth, 16 different family farms are participating in our ACCT forestry programs. Over the past 5 years, Envision Festival has grown as well. They have sponsored 373 trees for Future Generations with a projected measurable carbon offset of at least 373 tons of CO2 over a 25 year period. We could break down these numbers to yearly calculations, but given the long term nature of our work and commitment and dedication to forest management, the 25 year cycle is a more fair analysis based on a per tree basis. So if you are traveling to Envision Festival this coming year 2016, or still want to offset your CO2 from previous years, or even other festivals or events, you can safely calculate that 1 tropical tree will absorb approximately 1 ton of CO2 plus give us all of the other benefits mentioned. We really do hold a powerful, socially just solution in the palm of our hands. And ACCT loves to do the dirty work with our community of men and women! Every single tree does makes a difference. You have an important role to play. If not you, then who? Envision the forest we are planting. It is real and we need your help! ACCT thru the carbon offset button on the Envision website EnvisionFestival.com. You can also post your pic and testimonial and receive a Carbon Certificate through our interactive website www.CommunityCarbonTrees-CostaRica.com. We are the change we seek. ACCT now! 3 “Total-Tree Weight, Stem Weight, and Volume Tables for Hardwood Species in the Southeast,” Alexander Clark III, Joseph R. Saucier, and W. Henry McNab, Research Division, Georgia Forestry Commission, January 1986. Chave J, Muller-Landau H, Baker TR, EasdaleTA, ter Steege H and Webb CO. 2006. Regional and phylogenetic variation of wood density across 2456 neotropical tree species. Ecological Applications 16:2356-2367. Vallejo A, Hernadez PC. 2006. Database of observations of Central American species and generic models of growth. Centro Agronomico Tropical de Investigacion y Ensenaza, CATIE, COsta Rica. 4 “Heating With Wood: Producing, Harvesting and Processing Firewood,” Scott DeWald, Scott Josiah, and Becky Erdkamp, University of Nebraska – Lincoln Extension, Institute of Agriculture and Natural Resources, March 2005. 5. “Carbon Storage and Accumulation in United States Forest Ecosystems, General Technical Report W0- 59,” Richard A. Birdsey, United States Department of Agriculture Forest Service, Northeastern Forest Experiment Station, Radnor, PA, August 1992. How a Mango Turned me on to Slow Rainforest Food! I remember when I was a little kid growing up in Baton Rouge, Louisiana and I would watch my MOM gobble down these green mushy “fruits”, all cut into little squares inside their perfect little natural bowls. She would drip lemon and salt over the chunks and slowly savor each and every bite. I could tell how much she was enjoying this mysterious food because she would smile like she was in heaven. So, eventually, I got curious and asked her for a bite. Oh, I sighed, this is good… Now I get it. That was the first time I tried the amazing AVOCADO, not knowing then that it grew all over the rainforest in Costa Rica. I don’t think we ever went to the grocery store again without me asking for them. They weren’t always available so I learned young that avocados are a special treat. This remains true today. Even though I live in the rainforest and have avocados trees in my backyard, they are not always in season. Sometimes I still do without. Whenever I germinate avocado seeds for tree production, I think of my Mom and all those avocado seeds she would stick with toothpicks and try to sprout in glass jars in our kitchen window. I wondered why she tended those vines when they could never become a tree since Louisiana was still not the right climate for growing avocados. I guess it was just “fun”. My Mom introduced me to other kinds of fancy food from the rainforest, which at the time, I just did not understand how precious they really were. I also remember those special little while round discs MOM would toss into our salads. I never really knew what they were but I knew I liked those special white nuggets in the salad. I remember when my Mom showed me the can with the “HEARTS OF PALM” inside. I could not believe something so yummy could come out of a can. I would search longingly for it every time we went to the grocery store, not knowing then that hearts of palm are a rainforest treasure I would one day grow by the thousands. It’s funny how I never knew that hearts of palm actually came from a palm tree. Yea, the words were there, even written on the can, but I never truly “got it” that these delicacies came from the center of a palm tree. When I moved to Costa Rica 15 years ago, I was stunned and dismayed to hear that each and every palm only gives one heart of palm. Once cut, a new palm will only regrow from a new palm tree. It does not regenerate out of the stump. Again, this could seem obvious to some, but I had to move across the world and discover this hard truth for myself. Once I understood how over exploited the rainforest palms were for this high quality nutritious food, we started replanting them in droves! Indeed, no forest would be complete without a diversity of symbiotic palms to complete the ecosystem. Hearts of palm must be replanted regularly to keep the supply sustainable. Perhaps the most noteworthy introduction to slow rainforest food my Mom made to me was the marvelous mango. ( I am keeping chocloate out of this discussion because the precious cocoa tree deserves it’s own story in my book!) I met the MANGO at a special buffet offered at a fancy breakfast party I attended as a small kid, again with my adventurous MOM. I remember seeing this work of food art decorating the fruit table. Mangoes had been cut away from the big seed in the center then perfectly cut into cubes while still attached to the skin. By turning it inside out, little chunks of sunshiny goodness, all fleshy and sweet, were easy pluck off one by one. I remember asking my MOM it it was edible or just part of the decorations. She laughed, inviting me to sit and share it with her. I remember picking up the heavy fruit from the table, and bringing it carefully to where my MOM was sitting. After bursting with surprise that anything could be so yummy and soft, I exclaimed that I wanted to go and buy a mango tree and plant it that very afternoon on the way home from the brunch. My Mom just laughed again and explained that mangos only come from tropical countries near the Equator where the rainforest grows. She explained how mango trees take a long time to grow. She told me how generous they were once grown because they give hundreds of fruits per year. I marveled at how anyone could have a mango tree in their backyard. So I have to thank my MOM for introducing me to fancy rainforest foods, including chocolate, one could say the “finer things in life”. Imported foods like avocadoes, mangos, hearts of palm are a regular part of my diet now. But the cool part is that I am lucky enough to have them growing right in my own backyard! It has taken some time to get these trees going and harvest their fruits, but the wait is well worth it. Easy picking from low hanging fruit in a carefully designed tropical food forest means abundant and diverse food for export, all organic and non GMO. It is as easy as taking a stroll with a big basket. Just collect the bounty of your harvest. Because we really do reap what we sow. And with rainforest trees, we get more fancy food per hectare with the least amount of effort long term. Plus a world of other environmental benefits. Smiles All Around for Rainforest Trees! One of the best things we have done at Community Carbon Trees Costa Rica ( ACCT) is include women in the center of all of our tree production and planting activities. For the past three years, women have been working in our work crews and we can see the positive benefits at all levels of our rainforest tree planting community. Women can swing machetes, collect seeds, load trucks, carry trees on their shoulders and cut away choking vegetation for good tree growth. They are experts witht he shovel! We watch the women gently care for each and every tree as they plant it and then follow it for 4 years with constant care. The tiny saplings really are babies in need of care out there in the cattle grasses and the women show great success with low death rates and superior growth rates. We could not be more proud of the women who work with our rainforest community. After a half day of work, (6 am to noon), the women return to their homes and take care of their families with a heightened sense of self esteem and dignity. They share their tree work stories with their families from a positive place. They also feel good about contributing to the family budget. The men in the community love it too. There is a jovial team feeling among everyone involved in our projects. Conversations about reforestation and conservation pepper the dinner table and the whole family gets in on the excitement and the prosperity and dignity that comes from rural families reforesting their own land together. It is hard work but the benefits are obvious to everyone. Keeping women in the center of our tree planting and care work is a proven recipe for long term success for the whole family. Great examples are held out for kids and neighbors while we just keep growing more different kinds of trees. There is more good organic food around and people are obviously feeling empowered. No one is going out and illegally cutting down trees. Our participants do not use herbicides or pesticides. There is less desperation in the community of humans and animals and everyone is all smiles all around. Thank you for your continued support by sponsoring a tree today! We love to do the dirty work. The first time I saw Vanishing of the Bees, I had already dedicated more than 10 years of my life to creating solutions for global warming through rainforest conservation and community tree planting in Costa Rica. I was lucky to have answered the call of my life’s mission: I evolved from environmental lawyer in Louisiana to the founder Carbon Community Trees, a successful non-profit community reforestation group that regenerates degraded cattle farms with communities in rural areas of Costa Rica. On an intuitive level, I felt that keeping the rainforest healthy would also serve the bees. We could not just focus on the pesticides and herbicides in a vacuum, or genetic modifications and big factory farming alone. We need to look at the bigger effects and think globally. Get Rid of the Toxic Chemicals in Your Medicine Cabinet ! Discover How TODAY! We have observed record-high temperatures for the past 12 years as a result of human-hastened climate change. More intense winters also take their toll on natural systems; bigger storms, floods and droughts stress all organisms. Planting trees with community participation has a measurable, positive impact on lowering global temperatures. Rainwater is recycled into clouds; clouds bring down global temperatures; lower global temperatures take the pressure off species all over the planet, including the sensitive bees. Finding long term ways to keep biodiverse rainforests standing also keeps the planet cool. Deforestation accounts for more than 20 percent of the carbon dioxide being released into the atmosphere. When farmers are paid to plant trees and take care of them long term, they do not cut them down like times gone by. Farmers have learned their lessons and are more than willing to work hard to repair their land and build new sustainable income opportunities related to the long-term growth of the trees. Through our interactive programs, farmers are regularly harvesting renewable resources from the trees and gaining a new awareness of sustainable agro-forestry systems. We plant shelter zones and bridges made of growing trees to connect new forests across fragmented zones where animals, including bees, can build shelter. We empower forest communities, including women. Forests near the Equator breathe; trees are the lungs of the planet. 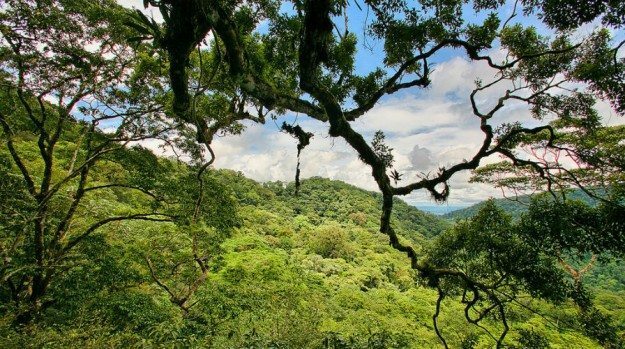 Trees planted within 10 degrees of the Equator, like in Costa Rica, directly fight global warming and climate change by breathing in more carbon dioxide than anywhere else. These trees exhale oxygen 365 days a year in an atmosphere that is constantly being polluted by excess carbon levels. In our community reforestation work, we have noticed time after time how docile and sweet the bees are when the trees are about five years old. (Now keep in mind that there are only Africanized bees in Costa Rica). They find comfort in the shade of the trees, which lowers the temperatures and encourages varied secondary vegetation. Once trees and weeds start blooming naturally, we regularly find hives rich in honey, filled with buzzing bees completely disinterested in us. One could even say they were happy. They appear focused and organized in a loose way, buzzing around plenty of different kinds of flowers both high in the canopy and around ground vegetation. But the bees give off a whole different vibe when we first enter a deforested and degraded farm. They seem crazed and lost, if not desperate. A once abundant and pleasant habitat is now a hot, deforested and eroded hillside with sharp and thick, cattle grasses. These aggressive grasses suffocate and mangle even the strongest pioneering species, preventing anything else to grow. There is nothing blooming and nothing moving with the exception of “mean,” hungry bees. We find Africanized bee populations in these fields as aggressive as the grasses. Their temperament under the Equatorial sun—with no food, no flowers, no shade and fierce competition—matches the threatening environment. Sometimes we unwittingly disturb these bees when our workers come swinging with machetes through the grasses for the first time to cut spaces to plant the baby trees. The bees attack the tree planters, stinging them hard! Faces and hands swell up as we slather on baking soda mixed into a cooling paste with water and continue chopping onward. It is amazing to witness how fast we can convert these uninviting, cattle pastures into gentle, shady and productive food forests for all, especially the bees. No more angry bees attacking us. Hard work and time in nature satisfies everyone, including the bees. Meanwhile, resources become plentiful and workers become empowered. The young trees can only survive if we chop the cattle grasses regularly and trim vegetation so they can receive enough light to grow straight and tall. The repair work we do requires a sustainable food chain and clean water and air, free of chemicals. Solutions must address rising atmospheric and ocean temperatures. Small scale farmers must be encouraged and empowered with economic support for natural farming practices and local conservation based on digging deep roots in the community. Big agriculture and first world governments are trying to “feed the world” more unsuccessfully than ever. How long can big agriculture keep hiding? We have to stop supporting commercial farming. Purchase food from your local small farmers, plant a garden, or work in a community garden. Return to small and sovereign agricultural systems where local families and workers develop long term and balanced relationships with their own land and that of their neighbors. Land is best stewarded by those who work it, love it and depend on its ongoing productivity. Basically, people who have a connection with their land. This is one way we can start to lower carbon footprint. Farmers who have a vested local interest in the fertility and long term productivity of their soils and the cleanliness of their water make the best conservation stewards. Valuing fruits like cocoa, guanoabana, mangoes, avocados, almonds and cashews from small reforestation farmers is just one way to repay the hard work and environmental services contributed by trees along the Equator in fighting climate change. It also supports the bees who pollinate these fruits and nuts. With Community Carbon Trees Costa Rica, we aim to give people around the world a trustworthy and effective way to participate in one of the most hopeful solutions available to us in fighting the realm of maladies facing our natural systems today. Planting Equator biodiverse rainforest trees with local farming communities with our proven and certified ACCT model benefits people, animals and the planet. We can make the changes that alter the course of our current tragic trajectory. NO action is too small; it all adds up. If poisons can add up over time, so can the positive steps we take to counteract them. Jennifer Leigh Smith grew up on a sustainable farm in Louisiana playing in the woods and bayous, marveling at the Nature all around her. Jenny, who is also a lawyer, created Community Carbon Trees about 10 years ago. Jenny and her teams have planted more than half a million trees for 145 different projects. Jenny is a Climate Reality Leader trained by Al Gore and currently works with the United Nations and the Global Environment Fund to educate and build community reforestation programs in the emerging world. We are all still buzzing after our ACCT screening of the documentary film, “Vanishing of the Bees” last week with it’s Co–Director Maryam Henein at Hotel Roca Verde in Dominical Costa Rica. Everyone has a special opportunity to be part of the solution for this critical contributor to our healthy food chain. We can all plant sweet blooming flowering trees and plants for the bees! And stop using chemicals. Are you wondering what to plant in your jungle backyard or what to leave alone to be symbiotic with our Costa Rican honeybees? No matter where you live, h ere are some useful tips to attract the maximum diversity of healthy pollinators! Bees need trees to live well. No surprise really, no matter where you live. Bees living in the tropics build their hives in nooks and crannies of old trees, or high on tree trunks in the forest. The bees can thrive in these conditions when left alone. They seek spaces of protection in the trees to be able to build natural and strong honey colonies. Wild spaces for the bees are important to maintain nature’s natural, uninterrupted rythyms. If you have a hive around your house or business and the buzzing is making you nervous or a hive is otherwise in a spot that is subject to disturbance, a qualified bee rescue expert is always available to relocate unwanted hives. In the southern Pacific coast of Costa Rica, Harold Ramirez is available to relocate any unwanted hives of Mariolas or Meliponias, medicinal bees (Tetragonista angosteras). Honey from these small creatures strengthens the human immune system, builds longevity and can heal diseases of the eye. Costa Rican honeybees produce delicious honey fragrant with hints of flowers. Delicious bee pollen and propolis are valuable nutritional contributions generously given by the local organic bees. With so many gifts they give us, it is a natural response to want to help the bees in return. We can all plant a wealth of biodiverse native trees, herbs, and flowers depending on where we live to nourish the bees naturally. In Costa Rica, where we enjoy eternal summer temperatures but lots of rain, we try to plant a wide range of flowering trees that bloom at different times of the year. This way there are always abundant flowers for our fuzzy friends. We all thrive with a varied diet of ORGANIC fruits and vegetables to stay strong and fight off pathogens all around us in today’s growing fierce competition for resources and survival. Guava Bella is one of the most resistant, sun tolerant, fast growing trees which give copious amounts of flowers for bees. This variety is most commonly sold at local fruit stands in their natural packaging in the form of a big boomerang shaped pod which cracks open to offer neat rows of white, cotton candy-like fruit covering large black seeds. More appropriate species for higher elevations is the Guava Guayinaquil. The bees also love its showy and sticky flowers. Both of these trees in the varied “Inga” family grow well even in poor soils and can provide shade in the early years of any reforestation project. Monkeys will sit in a guava tree and strip it bare. And the bees? Buzzin so loud you can hear them. They are drunk and happy in Guava flower season! Papayas are also a big bee pleaser. While we humans rarely ingest the leaves of a papaya tree except when recovering from dengue or malaria, some of the larger birds like the wild turkeys will eat papaya leaves to nothing. I have seen up to four large Pahuillas in a single papaya tree balancing gingerly on the thin stalks so they can keep munching on the leaves. The bees buzz around the small white flowers all sticky and fragrant with pollen. And what about those ubiquitous Guayaba trees dropping their luscious pink fruits all around? Have you ever noticed the bees hovering all drippy and drunk around these sweet pollen laden flowers? While this fruit is just perfect for making marmalade, again, you will have to compete with the lower part of the food chain to get your share, especially because worms are often hiding inside. Rich in vitamin C, many an unassuming human has bitten into a Guayaba fruit only to be grossed out by the worms. Don’t worry, nothing goes to waste in Nature, and the deer and other mammals will scarf down any worm laden fruits left over. The rest serves as great organic compost. We each take our share and leave something behind to decompose for completing the circle. Any variety of Mango tree is a magnet for the sticky bees. They are a great way to feed the bees, the wildlife and yourself! The rose colored shower tree, known as Karao, is also a big bee pleaser. No bee banquet would be complete without a few special flowers from fruits like Caimito, Abiut, Javoticaba, Cascarilla, Guanabana, Carambola, Jackfruit and Breadfruit. The fruit offered by these trees is so valuable to us all. But we would not enjoy it without the bees. The bees come to the flowers and end up giving us fruit by their pollination. Sweet symbiosis. We have a tropical food forest that nourishes us and the bees and makes us all healthy and happy too. What about flowering trees for bees? Aceituna is a tall, slender purple blooming tree that offers a hearty flower with extra long stigmas perfect for bees making landings with sticky hind legs hanging down. Flitting from flower to flower, the bees pollinate the tree. Several months later the tree makes a large olive like fruit coveted by all kinds of birds and animals of the rainforest. Everyone loves the striking beauty of the Orgullo de la India tree, boasting bright hues of purple or pink flowers in October when few other trees are flowering. This is an important late rainy season food for bees. In late summer, activated by dry weather, the Corteza Amarilla explodes in short lived yellow neon flowers that are aglow with the buzz of the bees. It’s cousin in the Tabebuia family, Roble Sabana o “Pau de Arco” tree is another flashy bloomer that impresses in late summer. Its bark is ground into a tea that is taken internally for a range of health benefits including tumor shrinkage. How is that for successful bee tree symbiosis? Planting trees creates shade and improves the fertility of soils by dropping biomass for nourishment. Planting a food forest creates a dappled light habitat perfect for growing a wide array of herbs and flowers, also good for bees and humans alike. These weeds in turn nourish the growing trees with their decomposing biomass and the regenerative cycle of life is intact and rolling without obstacles. Plant the impressive and hardy Agave plants (“tequila plants”) and you will attract some incredible bees when they bloom. Other blooming shrubs like Rabo de leon or Butterfly Bush, Gardenia, Poinsiana, Castor Bean, plus the whole family of Heliconias and Gingers and Hibiscus will attract an ever abundant menagerie of flying pollinating insects, not to mention hummingbirds. Add in some medicinal shrubs like Saragundi or wild Senna (great antiseptic, cooling skin wash), Hombre grande (stops diarrhea and vomiting), Fruta milagrosa (Stevia) or Gavilan (Jackassbitters) for amoebas and parasites, Romero or Rosemary for skin conditions, or Dandelion for liver detox and you get a home medicine chest while also creating beauty and diverse habitat for bees and butterflies. It’s true that a weed can be as precious as a rose. Let your grass grow wildly in the summer time, let it bloom. Don’t waste so much fossil fuel maintaining a manicured lawn. Chop manually, get some exercise or create a job for someone doing it. Instead of paying big corporations for the poisonous herbicide, pay a local farmer instead. Value the volunteering weeds like Lantanas and Verbenas, Begonias (kidneys), Tuetes, (nausea), Botoncillos (inflammation) and other secondary regenerating plants and shrubs. The cycle of life depositing organic material from blooming and decomposition will create richer soils in collaboration with your tree planting. Meanwhile, your local mix of native trees, shrubs, herbs and weeds will create a wonderfully colorful and active space thriving with pollinators from bees to lizards, to dragonflies, and butterflies. Plant a beautiful mix of shrubs, herbs, trees and veggies will provide a cornucopia of delights. You will be entertained, fed, and nursed when you are sick. Oh sweet symbiosis of the bees and the trees. A few final tips to remember no matter where you live. If you want to grow healthy plants, food and soils while attract wildlife, the first rule of thumb is do not apply herbicides or pesticides. They just kill the soil, accumulate and create a vicious circle of dependence on fossil fuels. Avoid the systemic pesticide coated commercial seeds widely available today. Save heirloom seeds and trade with your neighbor. Let some of your garden go to seed every year and always leaves some fruit on your trees for the animals too. This never goes without saying. Healthy, alive soils mean prosperous trees and plants. No amount of store bought chemical fertilizer can compensate for dead dirt. The secret really is in the soil. Make compost. Buy compost. Love the dirt. Touch it. It will bring you happiness and remind you where real good food comes from. Second, don’t manicure the jungle or over chop or overwork your immediate area. Don’t cut the grass down too short or scrape off ground cover all the way to the dirt. When we remove the cover crops, we over-expose the dirt to the ravages of the weather. We want to preserve and protect the thin tropical topsoil and beneficial soil carpet of connective fungus. This forest floor contains beneficial organisms, like fungus which work like pro-biotics to inoculate the soil and protect the plants against pathogens. We want to encourage soil building by leaving the rotting organic material and developing fungi, not “clean” it up. Harsh sun and rain will destroy the topsoil if it is exposed. Ground covering plants of diverse types are critical to shade and build healthy soils, plus create thicket areas for animals to birth their young. Pioneering weeds and short lived trees are also important because they provide shade and protection for regenerating long term species which grow slower and only in cool, protected, shady and healthy soils. Nature really is perfect in its chaos. It all goes together, like we do with mutually beneficial relationships stacking together seeking survival. Symbiosis works back and forth, forever seeking balance on a constant basis. Symbiosis is dynamically fulfilling cycles with no unnatural wastes, everything useful and beneficial to the system and its ongoing processes over future generations. Like the bees and the trees. Our ACCT model of planting over 85 species of native trees on deforested farms owned by Costa Ricans with community collaboration is working! Our viveros are full and we are ready for rainy season 2015! We also produce a variety of nitrogen fixing cover crops and medicinal plants. Let us help you with your reforestation project this year for great results. Make a difference for the bees, and the trees. Make a difference for yourself. Make a difference for future generations. Sponsor a tree today for longterm bee tree symbiosis with CommunityCarbonTrees-CostaRica.com. We love to do the dirty work! And don’t forget to check out Maryam Henein’s HONEYCOLONY.com, an educational magazine touching on a range of health and food purity topics inspired by her ward winning documentary Vanishing of the Bees. 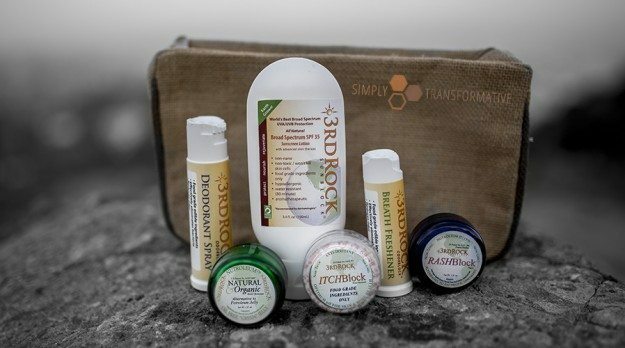 Honeycolony offers an online store for the highest quality and purest food and beauty products, friendly to bees of course. SUPPORT local beekeepers and activists working in your area today. We are all part of the change! As Maryam Henein says, “BEE the Change”! As Tree Jenny says, “ Sponsor a Tree for Future Generations”! At Community Carbon Trees Costa Rica, we work with participating Costa Rican farmers who have deforested land from cattle farming. Meet Omar Godinez, who is participating with our biodiverse agro-forestry programs on his land in La Reina, Guabo Valley Costa Rica. Omar rides his horse in the village to collect and carry any materials he may need to live. He lives in a simple wooden house with a big river running nearby. Several uncovered water springs bubble forth on his land and a tiny stretch of rainforest remains in a very steep area. Before participating with our community reforestation programs, Omar did not have gainful employment other than cattle farming. Little by little, his land would no longer support the cattle as all the topsoil had run off over the past 15 years in the torrential tropical rains and penetrating Equatorial sun. Omar felt hopeless. In 2013, local women and Omar replanted over 600 trees on Omar’s land, including all kinds of rare tropical lumber, fruiting trees, and water protection species. Omar is thrilled. He got paid to plant his farm along with some of the local women who are now prospering because of tree production and planting jobs. Everyone gets paid each time the surrounding cattle grasses are chopped and trees tended during the first 4 years. You can see how big and healthy the trees are growing on Omar’s farm. He is already harvesting bananas and corn and the hardwood and fruit trees are growing leaps and bounds. He will be able to harvest beautiful cocoa in just a few more years and sell it cooperatively for value added chocolate treats to benefit the community of workers and more tree planting projects. No herbicide is allowed in any of all our projects and loves this. Some of his neighbors currently use herbicides and pesticides and he knows that this is harmful to the bees and bats living all around his land. Omar is learning how to rebuild his soil and grow organic food within the food forest. He can see his neighbors paying attention and copying his lead to stop using pesticides. The surrounding land is already buzzing with life, shadier and cooler in just two and a half short years. Omar is glad that we replanted the springs with water protecting trees for future generations. At Community Carbon Trees Costa Rica, everybody wins. Especially Nature! Why do we have to love trees if we care for our Planet? A proof positive Model in Costa Rica. In my all life, the hard work on land was never so fulfilling and inspirational like in the day I spent with the Community Carbon Tree Founder, Jennifer Smith, in a remote area of the Guabo Valley near the Pacific Ocean in Costa Rica. In High School, I worked during the summer reaping wheat to pay for my holidays, but the engagement I experienced and the lessons I learned this time are indeed incomparable. The job of planting trees and monitoring them involves getting dirty with mud, while sweating under a forceful sun. Jenny was saying to me that planting trees in any clime is beneficial for all the gifts they give us daily… however, planting tropical trees near the Equator ‘cools’ the Planet more than in North America or Europe, for example. The reason why? Let’s start from the beginning. My Costarica – as a brand new Sponsor-a-Tree Partner – was invited by the ACCT to visit the Family Farms and owned tree local nurseries near Platanillo, a small village between San Isidro and the coastal town of Dominical. ACCT or Community Carbon Tree – Costa Rica is a Costa Rican non profit Association building a way for people all over the world to sponsor trees planted on farms owned by local Costa Rican farmers. ACCT has created a proof positive Model recognized by the United Nations for bio-diversity and community based reforestation. 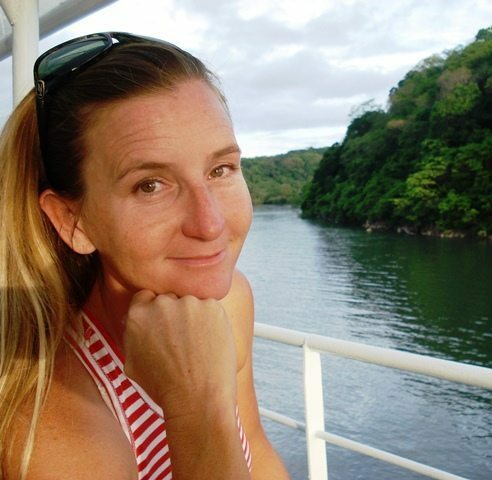 As the Project Leader, Jennifer Smith is also an esteemed speaker for the same United Nation focusing on rainforest trees plantation and climate change, including water conservation. Because of the partnership and in representation of My Costa Rica, I agreed with Jennifer to visit the farms on the early Sunday morning, because in the afternoons heavy rains are always hitting the area where the ACCT Reforestation Project is located. I thereby left San Jose on a Saturday morning and get to San Isidro in the afternoon of the same day, where I found a small cosy eco-lodge to spend the night and rest for the day to come. On Sunday morning at 7 a.m. I got another bus heading to Platanillo, where Jennifer was waiting for me. While we were driving to the first Tree Nursery near Platanillo, Jennifer told me in brief the story of the Organization and the last 15 years in the first line to fight Climate Change. In her words, the success of ACCT is built on “high biodiversity tree selection with community participation and diligent follow up care for every single tree.” In fact, the ACCT model creates alternatives for people to plant a diverse array of trees instead of cutting down more forest. The deforestation is ‘pushed’ for a quite simple reason: it allows farmers to feed their family and on the other hand Multinationals make more money… it is sad but true! Expanding cattle grazing or planting huge monocultures of African Oil palms (widely used in food products, detergents and cosmetics) create fragmented islands and destroy the eco-systems. By paying the participating families to produce, plant and maintain diverse and native trees, we are preventing deforestation with compounded benefits, not only for the environment but also for the people. Transportation, preparation and plantation of trees: paid workers, including local women, transport the saplings, prepare the land, plant and stake the trees. Afterwards, the same work crew returns to visit each tree 8-12 times over the first 4 years to chop away regenerating cattle grasses and secondary vegetation. The long and dedicated work done by ACCT and farmers guarantee that every single tree sponsored, with maintenance, is critical to tree growth (true carbon sequestration numbers are based on a 25 year growth cycle!). When we ended the visit at the Nursery and we got in Jennifer’s Jeep to visit the main plantation, I was already overwhelmed by the amount of information and the hard work made by Community Carbon Tree… and the lesson wasn’t finished yet! The plantation site was the next to visit. In this case, Jennifer explained to me that they were planting agro-forestry systems filled with all kinds of tree expertly mixed together for maximum growth rates and productivity. It was there that I was given insight about the different trees planted and why mixing appropriate species is important to achieve a ‘natural forest style mix’ that allows for shading trees and growing lumber and food. Cooler temperatures enable tropical tree roots to better absorb rainwater to replenish underground aquifers… ultimately, it means that tropical trees fill up your glass of drinking water by making it rain! Trees planted near the Equator absorb more carbon dioxide than anywhere else because they grow 365 days a year, with no dormant winter! We DO have the capacity to understand Climate Change and the sure thing is that we HAVE THE OPPORTUNITY TO DO something about it with a real impact! Plant trees with ACCT where these farmers will take long term care of them. Producing and Planting trees gives them a reason to stop cutting down the rainforest. Learning how to manage the growing food forests brings the model full circle with proof positive impact for people, environment and profits. The little things really do count. And so does every single tree you sponsor. You never know how your contribution, even if you feel it is small, can indeed change the world…and by doing so change yourself. Let me share the story of Takashi Suzuki with you. At the end of 2014, I awoke to a message from Paypal informing me about a new tree Sponsor. This is always an exciting moment since it is the way we fund our community reforestation work. But this time, the message was different. The Sponsor’s name was in a foreign language and a foreign alphabet! Oh wow, I exclaimed, “now we have a person in Japan who has sponsored a tree. And says he will sponsor more…” My heart swelled as I wrote back. “Thank you for your thoughtful response. Yes, many people are shocked to learn that we are not receiving a lot of tree sponsorships each day. IN fact, quite the opposite, we are still struggling to get the word out about our work and how much it helps the planet, animals and people on so many multiple levels. It is about way more than just absorbing extra CO2. In emerging economies, especially those near the Equator, like Costa Rica, we have to find reasons to convince people living near vulnerable rainforest not to cut it down. Experience has taught us that creating dignified tree planting jobs can transform lifetime cattle farmers into conservationists with sustainable rainforest business opportunities. It is good. We do see progress as we plant more trees with more participating families. I thought that was the end of my correspondence with Takashi. But the next morning, I awoke and found the next email from Takashi. All this letter writing happened on Friday. After a long weekend of continued website update and revisions, I awoke Monday morning to another encouraging Takashi tree sponsorship and message! Now it was my turn again. Thank you so much tree friend! I woke up about 30 minutes ago and saw your third donation! Thank you!! Yes, Takashi we love you! In fact, we love your Sponsor Gallery postings! Yes, you are changing the world one tree at a time. Not sure if you noticed but we are updating our website to Mobile friendly! We also noticed that between Friday and today, the online Sponsor Gallery dropped whoever donated at the end of week. We contacted our web wizard and he is repairing this today! It should all be back up by tonight. IN the meantime, YOU, Takashi are my favorite sponsor on the planet right now! I cannot believe you sponsored another tree!! First time this has ever happened! “I’m really looking forward to see pictures!! What kind of tree are you going to plant in July? I don’t know about tree…so even if you tell me tree’s name, I can’t understand. Maybe I should study about botany. This kind of interchange with our tree Sponsors is a wonderful occurrence. It means so much to us that someone in Japan found us and took the time to write us! When we see how much people actually care that their trees are being maintained and loved long-term, it also lightens the load. It feels good when people thank us and congratulate us and recognize how hard our work is. Three donations almost in five days from someone clear across the planet who we do not even know is such a strong stroke of encouragement for our entire hard-working team. Thank you Takashi, You are changing the world with your example of how much the little things count! Until next time… Reap what you sow. We love trees!